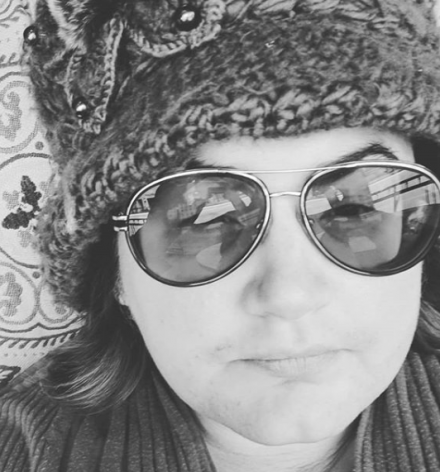 Kameron Hurley is an award-winning writer specializing in the future of war and resistance movements. 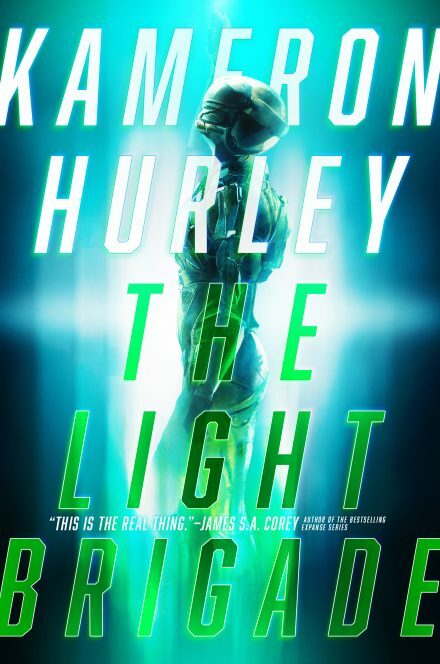 Hurley is the author of The Light Brigade (March 2019), The Stars are Legion and the Worldbreaker Saga (The Mirror Empire, Empire Ascendant, and The Broken Heavens). Her first series, The God’s War Trilogy (God’s War, Infidel, and Rapture) earned her the Sydney J. Bounds Award for Best Newcomer and the Kitschy Award for Best Debut Novel. Additional accolades include two Hugo Awards, a British Science Fiction Award, and a Locus Award. 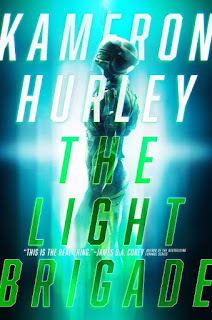 Hurley’s work has also been a finalist for the Arthur C. Clarke Award, the Gemmell Morningstar Award, and been included on the Tiptree Award Honor List. This is a rather different take on war and space than The Stars are Legion. What drew you to write this story? How did Dietz and her story come to be? I wrote a short story called “The Light Brigade” for backers of my Patreon, which provides subscribers with new stories every month. My agent really loved the voice and the conceit: this idea that soldiers are broken down into light, but that it causes some soldiers to experience events out of order. We signed a two-book deal with Saga Press, and the great thing about working with them is that my editor is pretty open to me writing whatever I want. When my agent suggested transforming that short story into a novel, I leapt at the idea. It was going to be far more “near future” than anything else I’d done, only a few hundred years from where we are now, instead of a few thousand. It also allowed me to leverage a great deal of the research into war, combat, and resistance movements that I’ve been doing the last twenty years. I've seen comparisons to Starship Troopers--how do you feel that, for positive and negative, the novel has influenced this novel and other stories and novels of your work? It’s more like the film than the book! In book form, I’d say it more closely resembles The Forever Warin tone and approach, but really The Light Brigade is its own beast. I loved a lot about the film adaptation of Starship Troopers; it didn’t take itself too seriously while also being very serious. You can say important things about war, fascism, freedom, corporal punishment, and conscription while telling an exciting story. People who live in dystopias don’t always believe they’re living in one, especially when they’re young. They’re raised to believe it’s the only sane and rational way to be. Power dynamics and upsetting existing orders and structures are a theme I've read in many of your works. What draws and inspires you to write stories of upsetting the applecart, be it in an empire, on a dying planet or on a Worldship? I’ve always had an interest in war and revolution. Much of that probably has to do with the fact that my parents worked a lot when we were younger, and my grandmother was our primary caregiver during the day until I was twelve. She and my grandfather met in occupied France in World War II. He was an American GI whose job after the war was to drive out truckloads of bodies from the concentration camps, and she spent her teen years under occupation by the Nazis. Those stories had a profound impact on me growing up. Her father had been part of the French resistance, and she told us stories of Nazis hauling him off for interrogations. Because I grew up with these stories, revolutions and wars weren’t something that seemed to happen to “other people.” They were a profound, formative piece of my life, and taught me early about the dangers of fascism, racism, propaganda, and how war can be both a useless, egotistical horror and sometimes, incredibly necessary in the face of a greater evil. Time Travel is a nice chocolate to go with the peanut butter of interplanetary war--what time travel stories and novels do you like, and were inspired by? I’m a huge fan of time travel stories done well. EJ Swift’s novel Paris Adrift is exceptional. Nino Cipri’s “Shape of My Name” and “The Color of Paradox” by A.M. Dellamonica are also wonderful short stories that tackle this. After the Bel Dame Apocrypha books, where I first connected with your work all the way back in God's War, your novels have ranged from Epic Fantasy to Space Opera. What seeds and lessons from that do you still carry and grow and build upon from? Though I write in various genres, the themes of my work tend to be very similar. They deal with war and revolutions, morally gray choices, violence and its repercussions (physical and emotional), and they all end to be set in intricately constructed worlds where a plethora of complex women are the primary characters. I also love to explore not just the “gosh wow!” of advanced technologies and magic systems, but also the sociological, cultural, and economic impacts that they have on the people that inhabit these worlds. Who are you reading lately that readers should rush out and order or preorder? There are so many incredible books coming out in 2019! Gideon the Ninth by Tamsyn Muir,The Luminous Dead by Caitlin Starling, A Memory Called Empire by Arkady Martine,The Dragon Republic by RF Kuang, and Salvation Day by Kali Wallace. And so many more! It’s a year of absolute riches for readers. Where can readers connect with Kameron at cons and the like this year? I have three book releases this year: The Light Brigade, my short story collection Meet Me in the Future, and the final book in my Worldbreaker Saga, The Broken Heavens, as well as another book due by year’s end so…. I’m taking a break from too much traveling! I’ve discovered that years in which I travel a lot tend to be years I don’t write as much. So while I have some local bookstore appearances here in Ohio, I’m mostly hunkered down working until 2020.